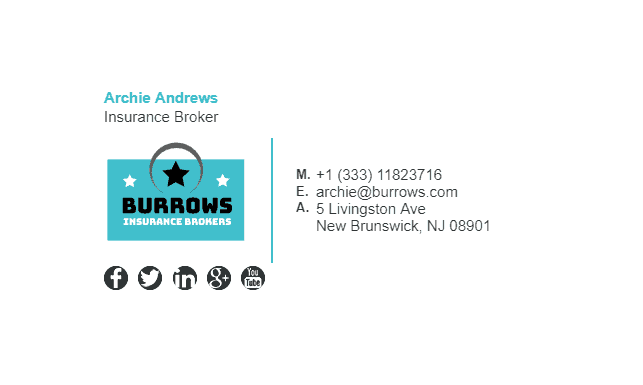 Much like mortgage brokers, insurance brokers are heavy email users. Emailing their customers and insurance wholesalers is just the beginning. 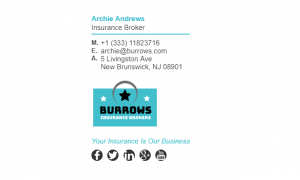 Many insurance brokers will typically send up to 50 emails per day! 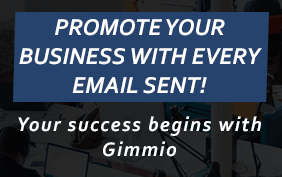 That is a huge amount of marketing opportunities missed if you don’t have an email signature. 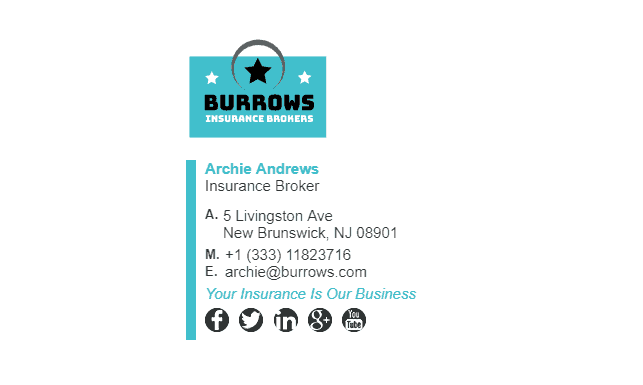 If you are an insurance broker, try a professionally made email signature, and you can be the judge of the success it has on your business. 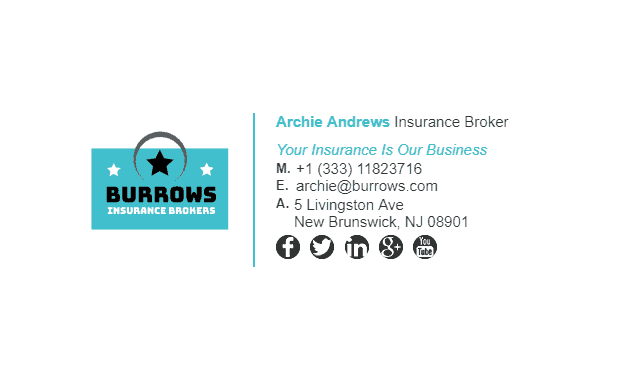 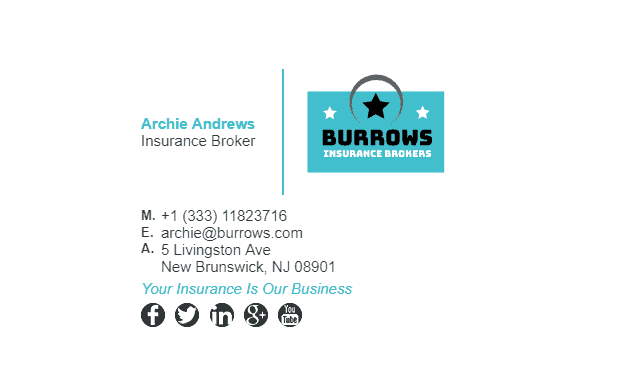 Check out our insurance broker email signature examples below! 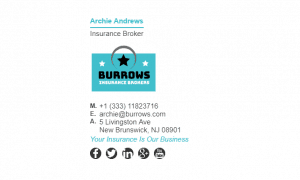 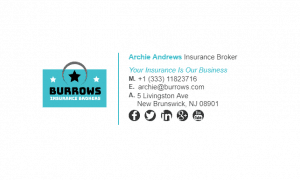 What Should Be Included in a Insurance Brokers Email Signature?